At WeldenField & Rowe Custom Homes, we are committed to providing our clients with the highest quality product for the best value possible. We approach every project as a partnership, and client satisfaction is the highest priority. 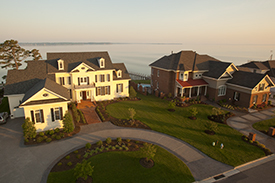 The goal at WeldenField Rowe is to use the decades of home building experience garnered by the partners and staff to strengthen our reputation for excellence, and to further establish our firm as one of the premier home building contractors in Virginia. See WeldenField & Rowe’s New Designer Model, The Rangemoss, HERE.